Which dog breed is known for walking over the backs of sheep? The correct answer is: drumroll please…. The correct answer is: D, the Australian kelpie. The Australian kelpie, also known simply as kelpie, is an Australian sheepdog that is very talented in performing several tasks. This breed is capable of moving herds of sheep, cattle and goats over long distances and gathering them up with little of no guidance from humans. In Australia, there are two different registries when it comes to this breed: working kelpies which encompass dogs purposely bred for their working ability, and show kelpies which encompass dogs mostly bred for appearance rather than working ability. Today, we will be focusing on the working kelpies. Kelpies are quite valuable to Australian farmers looking for an effective worker capable of gathering livestock and preventing them from moving away. Kelpies are known for quietly moving ahead of the stockman and blocking the movement of livestock until the rider arrives. They help keep the livestock at bay and then move then as needed from the pasture to the pen or into the truck. As mentioned, kelpies are also great drover dogs moving livestock over long distances despite difficult climate and conditions. The signature move of this breed though is walking over the backs of sheep..
Why did the kelpie walk over the backs of sheep? It’s easy, to get to the other side. 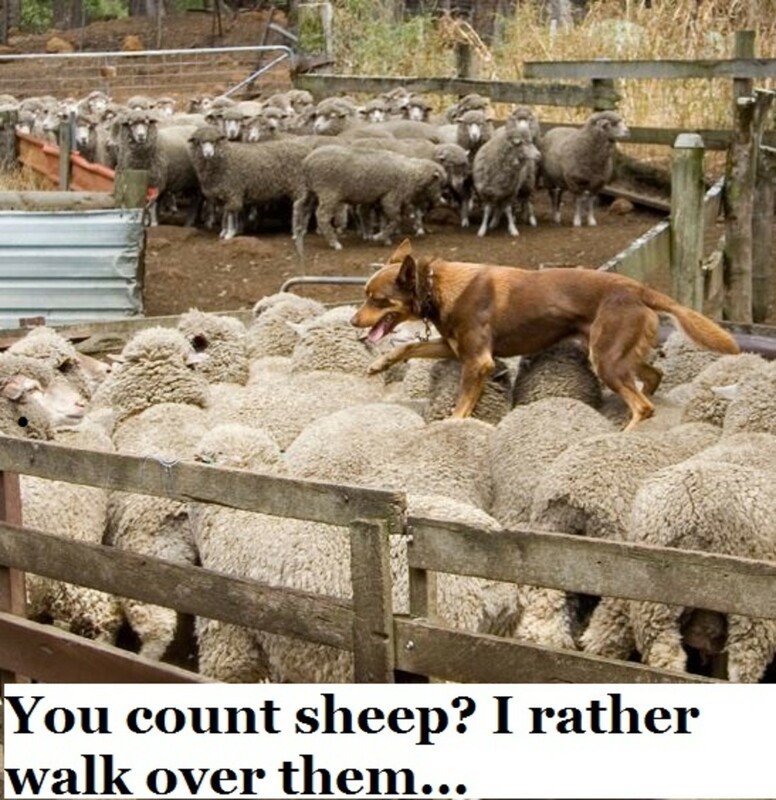 Jokes aside, kelpies do really walk over sheep as the picture above and the video below can attest. Why do they do that though? 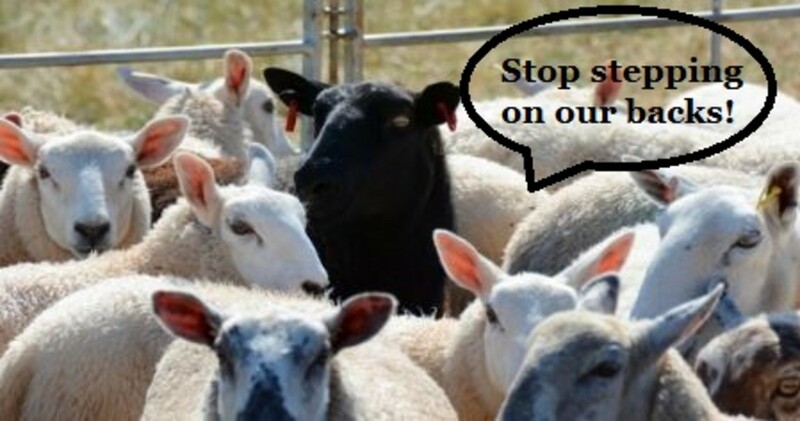 Well, imagine several sheep packed tightly like sardines within a pen, how can the kelpie get to other side? Should he just give up? No, giving up is not an option for this breed. Should he try to fly? Well, if he could, he certainly would. Did you know? Not only are kelpies capable of jumping on the backs of sheep but they also excel in jumping over very high gates. Just recently, a kelpie known as “Bailey” broke the Casterton Kelpie Muster Kelpie jumping competition record in Victoria as she cleared a 2.951-metre barrier, breaking the previous record set in 2007.